In saner times our great poets, writers, and philosophers expressed the feelings and ideas which came naturally from the race-soul. In these times those feelings and ideas are too “controversial” to be expressed freely, so where they cannot be suppressed outright, they are reinterpreted, obscured, and selectively anthologized by the alien arbiters of our culture. For no poet of our race has this been more true than for William Butler Yeats. William Butler Yeats was probably the greatest poet of the modern age; T. S. Eliot acknowledged as much. His roots were deep in Ireland, but, withal, he embodied the questing spirit of the whole of Western culture. It is impossible without writing a volume (or two) to render even a partial appreciation of his many-faceted life and work. He was born into the Irish Protestant tradition, of that line which included Swift, Burke, Grattan, Parnell. He was poet, playwright, guiding spirit of the famed Abbey Theatre, essayist, philoso­pher, statesman, mystic. But, as he once wrote, “The intellect of man is forced to choose “Perfection of the life, or of the work” [“The Choice”], and it is primarily in his poetry that most people seek an understanding of his genius. Some of his views confounded the mediocre, left-wing poets and intellectuals who sought him out in his later years. Unable, of course, to ignore him, they attempted to appropriate him as their own, much as Walter Kaufmann, a Jew, attempted to do with Friedrich Nietzsche some years later. Thus, many writings about Yeats totally ignore his more “controver­sial” ideas, or at best refer to them only obliquely. Modern liberalism and democracy were anathema to Yeats’s aristocratic spirit. He was a good friend of Ezra Pound. He was associated for a time with the Irish Blueshirts, led by General O’Duffy, and he wrote some marching songs for them. He spoke of “Mussolini’s incomparable Fascisti” (although being the kind of man he was he recoiled somewhat from the demagogic elements of fascist movements). With the earth and the sky and the water, re-made, like a casket of gold. That the worst rogues and rascals had died out. . . .
And emptied many a can . . . .
Perhaps Yeats was the culmination of that great, surging Romantic wave, now in recession. Perhaps. And perhaps a revitalized and resurgent West can at least produce poets in the great tradition, who refuse to wallow in mud and make a career of destroying our language. These lines also proved upsetting to Bloom, and understandably. Yeats here issues a clear tribal call for cultural unity by appealing to racial instinct and historical experience: blood and soil. A Jewish critic, who had never shared in the experience, but rather was steeped in another totally alien, and thus had no real comprehension of the soul-state from which the poet spoke, would, as a matter of course, feel hostile to such verse. 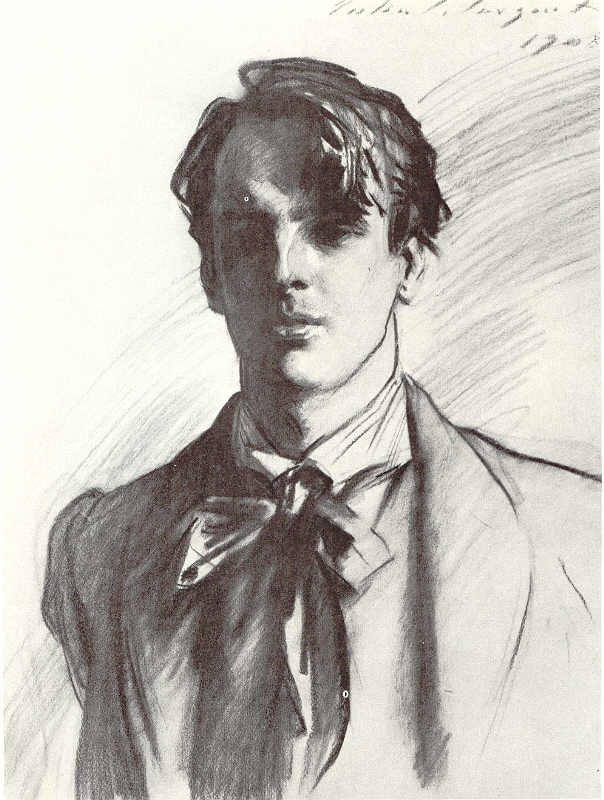 Too bad for Bloom and his fellows that Yeats’s reputation is already established; they have now little other to do but to wring their hands and rend their garments in their studies. And cry to the great race that is to come. Joseph M. Hone, W. B. Yeats, 1865–1939 (1943). Published: September 9, 2010 | This entry was posted in North American New Right and tagged articles, literature, North American New Right, poems, poetry, reprints, Vic Olvir, W. B. Yeats. Both comments and trackbacks are currently closed. An exceptional article, giving us not only an understanding of the man and his work, but also a clear example of what “Western” art looks and sounds like. Thanks for this article – poetry stands alongside music, feeding our spirits, keeping us alive.